What is small, furry and bears a striking resemblance to Karl Lagerfeld? It’s the Karlito, of course! 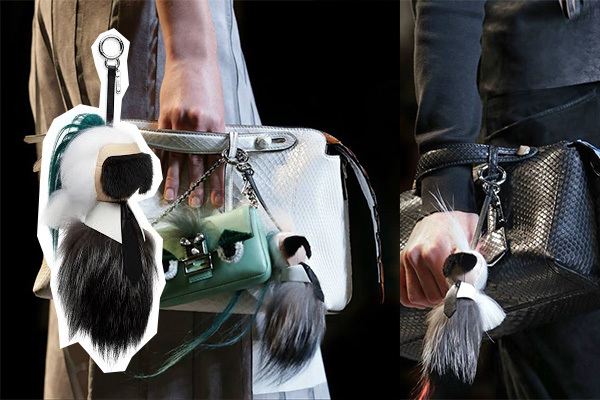 For those who haven’t been part of the frenzy or were not on the waiting list with 600 other odd people, Karlito is the adorable bag charm that made its debut during Fendi’s fall show last year. Karlito is now a part of a limited edition capsule collection featuring black and white sweatshirts, jeans, sneakers, a fur hat, a shopper, a studded backpack and an iPhone cover. You cannot miss Karlito’s sunglasses which are made from mink fur, his torso from silver fox, and on his head…a shaft of goat fur for good luck!